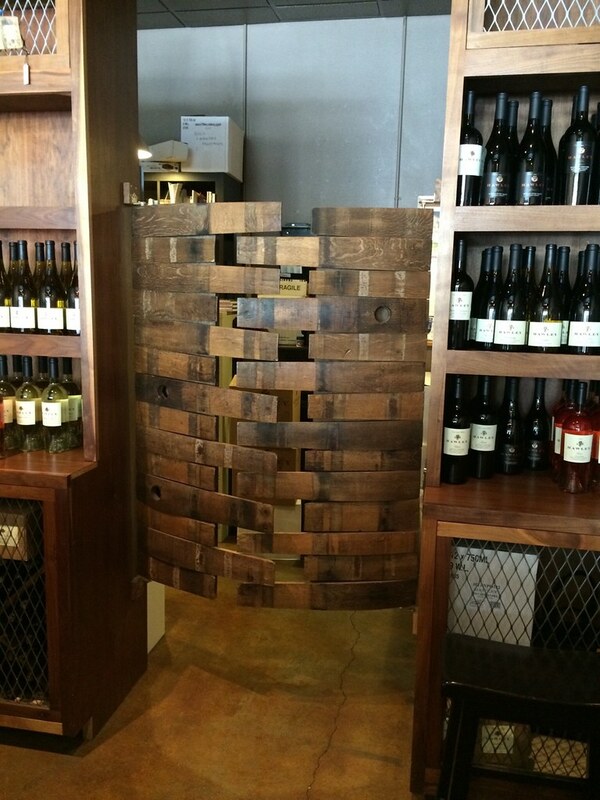 As we walked into the Hawley Wine Tasting Room, we all noticed the beautiful wood decor. The bar, furniture, doors and shelves were all designed using wood barrels, terrific atmosphere and you could even smell the wood! There were nine different wines available to taste with the tasting priced between $5 and $10 depending on how many you chose. Your tasting fee could also be applied to the cost of the bottle you purchase. Hawley is a boutique brand, producing only a few hundred to 1000 cases per wine. They have a ten acre vineyard on Bradford Mountain, in Dry Creek Valley, but also purchase some of their grapes from local Sonoma vineyards. It’s always a treat to taste such exclusive wines. Neil and I chose to share a tasting that day since we were on our way to the Wine Tasting Lunch. We both noticed the oak influence on the 2013 Viognier, a barrel fermented wine. Neil picked up the buttery aroma and I made note of the aroma of soft oak. As he tasted it, Neil described the wine as slightly buttery, round, yummy and having tropical fruit flavors such as papaya, star fruit and honeydew. I agreed with the butter flavor and added in pineapple, guava and a slight tartness. We both really enjoyed it! Our next wine was another barrel fermented wine, the 2013 Chardonnay, which we could both identify the kiss of oak in the aromas. I found the wine to be light and soft, as well as having butterscotch flavors with a hint of citrus. Neil picked up vanilla flavors and thought the wine was both crisp and fruity. Another wine with a nice combination of flavors. We switched to red wines with the 2012 Pinot Noir. Neil noticed the ruby color of the wine as he was swirling it to find the spice, pepper and plum aromas. I picked up strawberry aromas but then thought I might also smell black fruits too. Neil identified a plum flavor, a pleasant spice and a nice lingering finish. When I tasted the wine, I found some spice, a hint of sweetness, a soft fruit and a cherry finish. We both really enjoyed this Pinot Noir, with so much fruit flavor, that we decided to purchase a bottle. Unfortunately, they said this was the final vintage from Love Vineyard but that’s how it goes with boutique wines. The final wine of our tasting was the 2012 Reserve Petite Sirah. I could notice the 15% alcohol in this wine, when it slightly burned the inside of my nose as I made note of the dark fruit aromas. Neil didn’t notice any alcohol aromas, just fruit and spice. He was also quite observant with this wine and commented that it had a very dark purple color. I found the wine to have fruit flavors, lots of spice and light tannins. Neil enjoyed how the wine felt warm, tasted spicy and lingered nicely. Although he saw the 15% alcohol on the tasting menu, he didn’t taste or smell it. 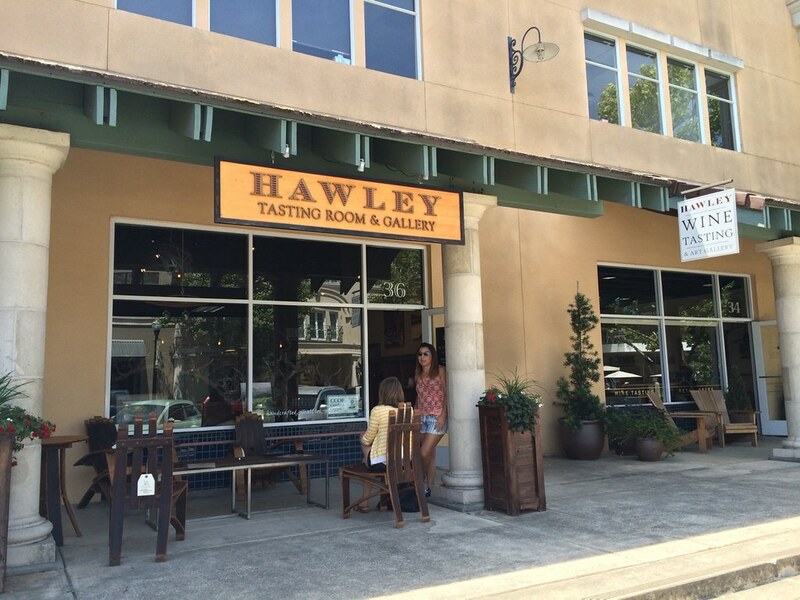 It’s always hard to choose where to go wine tasting but we made a great choice with Hawley Winery! We liked almost every wine, the tasting associate was really friendly and the place was beautiful, we’ll definitely go back! Glad we got that recommendation from the Chamber of Commerce.